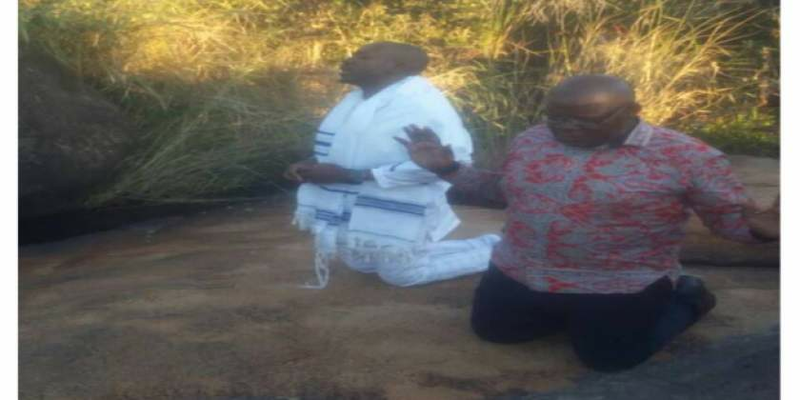 The MDC Alliance has declared Tuesday this week as a day of prayer and fasting for supporters and peace loving citizens to pray as the country is hopefully waiting the court outcome on an election challenge filed by Nelson Chamisa at the Constitutional Court. Chamisa challenges Emmerson Mnangagwa's victory as declared by the Zimbabwe Electoral Commission. "We have set aside Tuesday as our Alliance day of fasting to all peace loving Zimbabweans. Gets ready for this program, who knows your prayer can make a change . Wednesday is also our second day for fasting to those who are strong. The time is now to make noise unto the Lord in prayer and fasting. Don't just watch change coming but be part of it," the party said. "KJV Isaiah 43-- The Lord Comforts with His Promises 1 But now thus saith the LORD that created thee, O Jacob, and he that formed thee, O Israel, Fear not: for I have redeemed thee, I have called thee by thy name; thou art mine. 2 When thou passest through the waters, I will be with thee; and through the rivers, they shall not overflow thee: when thou walkest through the fire, thou shalt not be burned; neither shall the flame kindle upon thee. 3 For I am the LORD thy God, the Holy One of Israel, thy Saviour: I gave Egypt for thy ransom, Ethiopia and Seba for thee." "4 Since thou wast precious in my sight, thou hast been honourable, and I have loved thee: therefore will I give men for thee, and people for thy life. 5 Fear not: for I am with thee: I will bring thy seed from the east, and gather thee from the west.We shall make use of Isaiah 43 as our theme verse until this case is finalised.Get out of you comfort zone start praying for our beloved country Zimbabwe. Pray for the judges, pray for our MDC lawyers."